Many companies ponder the feasibility and wisdom of developing their own billing application, particularly if decision makers believe they have properly skilled IT talent to build it. Most times, cost is a huge factor in the decision. The logic goes something like this. . . It sounds ideal at first. Ditch the clunky, old billing software—or worse—the mind-numbing spreadsheets, in favor of a sleek, custom-built billing system designed to accommodate everything unique about your business model and billing plans. But in software, as in so many things, “FREE” is not usually free. Don’t believe us? Have you ever adopted a “free” kitten? Kittens are anything but free, as any good animal lover will tell you. No money changed hands when you picked up that tiny ball of fluffy cuteness, but there’s a lifetime (up to 21 years!) of kitty’s health and food expenses in front of you. 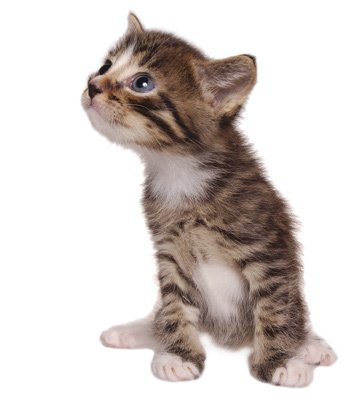 Free kittens actually cost up to $2,660 in the first year, according to a registered vet tech. Building proprietary software can be a bit like adopting a free kitten. A (seemingly) low upfront investment, but over the lifetime of the software, costs start to add up. 1. Opportunity cost – Was the cost of building the system really zero? Yes, you may have developers on payroll already, but aren’t there other high-priority IT projects waiting on your wish list? What will have to be postponed in order to accommodate this build project? Are there projects that could have a more direct impact on your business objectives? 2. Internal resources – Unless your company’s line of business is billing itself, you might not have the ideal team for this job on staff. Do your developers have experience in the complexities of billing and with regulatory compliance for financial information? 3. Maintenance – Many companies that choose to build their own software applications try to speed up development time by taking advantage of open source software and open APIs. This allows you to spend less time coding by essentially crowdsourcing key parts of the development. However, open source has its own hidden costs argued Raj Sabhlok, president of Zoho, while writing for Forbes. For example, when problems arise, no one else is responsible for creating the fix. Maintaining your solution might require as much (or more) effort than developing it. 4. Bugs and testing – Working out the kinks is a key part of any software development process. But we’re talking about your billing system. It’s customer-facing, highly visible, and with a direct impact on revenue. If you build, bugs that slip past your initial quality checks may cause serious problems. When you purchase software, or a SaaS subscription, the billing system has been tested by the vendor and is also widely-used by many other customers. It’s not a guarantee against problems, but it does reduce the risk. 5. Time – Building your billing software will take time—probably more time than you’re anticipating. This may mean limping along on your current system much longer than if you bought a replacement. 6. Security and risk – Billing systems often collect payment from customers through payment gateways. Customer financial information is very sensitive and must be handled in compliance with PCI-DSS. Billing vendors understand the intricacies of the PCI-DSS standard. If your internal resources aren’t as familiar, your company could risk a damaging data breach, penalties for noncompliance, or even customer lawsuits. As you can see, costs come in many forms and throughout the lifetime of a software system. Ultimately development cost is only one aspect in making a build versus buy analysis. It might not even be the most important influencer of your decision. Think through the issues above to arrive at the best plan for your next billing system.